Apple does tend to schedule events strategically so that it can take the thunder away from its competitors. Though, Apple does usually announce events during big trade shows. For instance, every year, during CES, Apple announces something during that trade show. Which then takes the attention off the hundreds of companies that are in Las Vegas, and puts it on them. Apple did the same thing at IFA this year, announcing the iPhone event right in the middle of Europe’s biggest tech show. So typically announcements are strategic, but not so much the announcement date. It’s hard to see Apple wanting to overshadow OnePlus, seeing as it is still a very small smartphone maker, especially when compared to Apple. But it has taken away some of OnePlus’ thunder. 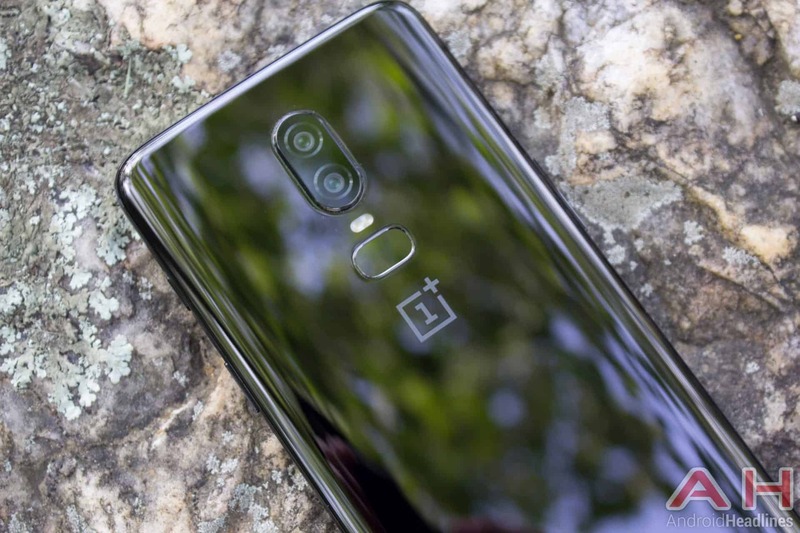 Background: The company is expected to announce the OnePlus 6T, which should be a relatively minor update to the OnePlus 6 that was announced earlier this year. But according to leaks, it’ll be a bigger change than the previous “T” models were. The OnePlus 6T is likely going to sport a “tear-drop” notch this time around, reminiscent of the OPPO R17, and the Realme 2 Pro, that were announced in the past few months. This shouldn’t be a surprise, seeing as OPPO shares its hardware with OnePlus, and most of their phones come from OPPO designs. This is because OPPO, Vivo and OnePlus are all owned by BBK Electronics. So when the device is unveiled on October 29, many people are going to think it looks familiar, and that’s because it actually does. The internals of the OnePlus 6T aren’t going to surprise many people. It’ll sport the high-end specs you expect from OnePlus, including a Snapdragon 845 chipset, up to 8GB of RAM and up to 256GB of storage. So it’s going to be a very high-end device, from OnePlus, and that’s par the course for them. One of the big changes that is rumored to be coming to the OnePlus 6T is the in-display fingerprint sensor. That would make the OnePlus 6T one of the first to sport an in-display fingerprint sensor, that will be available worldwide. The Huawei Mate 20 Pro also has an in-display fingerprint sensor (though that won’t be coming to the US, unfortunately, and not surprisingly). In-display fingerprint sensors are still a pretty new technology, but OnePlus’ sister brand, Vivo has been using them in a good number of their smartphones in the past year. Which have helped to push the technology further so it’s not as bad as a first-generation product. This is going to allow OnePlus to have a cleaner back on the 6T, since there is no need for a fingerprint sensor back there, and one less cut out for cases that will be used on the OnePlus 6T. While OnePlus has not confirmed the name of the device, it is more than likely still going to be the 6T, following up on previous year’s names. And it is also rumored to be available beginning on November 6, just a week after the launch. Which is quite quick, but not out of the ordinary for OnePlus. In recent years, it has gotten much faster at pushing out its devices to everyone, so that it can capitalize on the hype of the device, and not wait for it to die out before people get their hands on the device. Of course those that attend the event will get to see it in person before it is actually available. Which makes it a good reason to head to their event if you are in New York City. Impact: This is still going to affect OnePlus, in more ways than one. Sure they are going to get out ahead of Apple, and announce their device ahead of time. But for sites that are covering both companies, Apple is still going to overshadow OnePlus. And this is all due to the controlled leaks that Apple (and other companies put out) ahead of the launch. So while the new iPads won’t actually be announced yet, it’ll still be the talk of the town. However, on the plus side (no pun intended), those coming to the Apple launch in Brooklyn, will likely already be in town for the OnePlus 6T launch the day before. Allowing OnePlus to potentially get more press into their event and also get coverage on more websites and YouTube channels than they would have before. So it’s a double-edged sword for OnePlus. You are reading an article on the OnePlus Changes 6T Launch Date Because It Can’t Compete With Apple. All materials on the site Gadgets F, а также и статья OnePlus Changes 6T Launch Date Because It Can’t Compete With Apple - written for the purpose of information enrichment and we are happy if you like our magazine.